The creatively rich, diverse line-up of Sri Lankan films in the global context suggests that the ambitions of the country’s film folks remain high, even while the challenges they face continue to mount. The Sri Lankan film industry punches above their weight, but challenges remain. In many ways, the cinema is a basic example of what is right about the Sri Lankan cultural scene. Not many Sri Lankan producers have deep-pocketed backers. That is why more commercial projects than those backed by the public funds are required to keep the film industry going. This phenomenon paves the way for the establishment of the Cinestar Foundation. The Foundation was established with the aim of ensuring the welfare of over 320 artistes across the country. With the funds generated from various segments of showbiz, the Foundation attends to the basic requirement of ageing artistes. 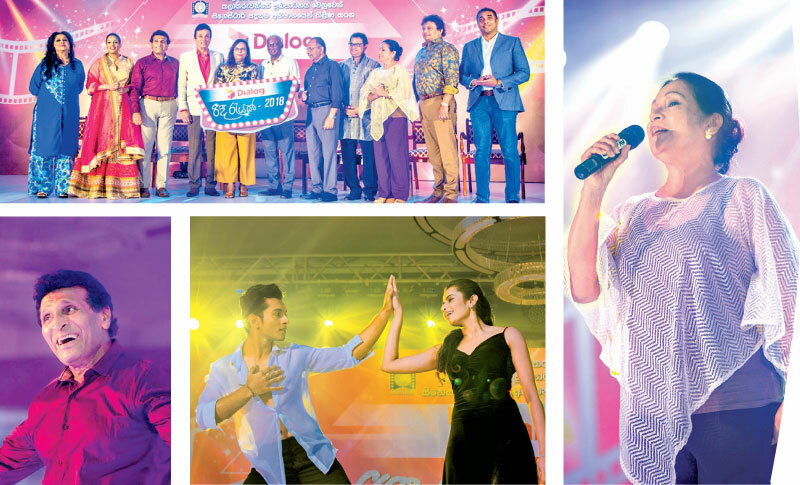 Dialog Ridee Reyak 2018 scheduled to unfold at the BMICH on December 23 at 6.30 pm with music and performances full of grace is organised by Cinestar Foundation with sponsorship provided by Dialog Axiata. The proceeds from the gala event will be channelled to aged artistes on a monthly allowance basis coupled with a life insurance. Dialog Axiata has been sponsoring the event since 2015.